When you wear your clothes for a long time, they tend to wear and fray. You never know when that extra slice of pie will burst a button and you will need a handy way of repairing them on the spot. 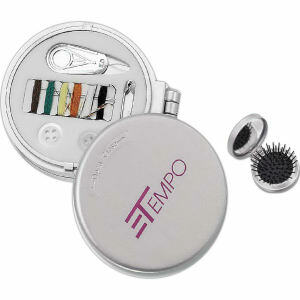 So, prepare clients, customers, and yourself by giving them custom printed promotional sewing kits! 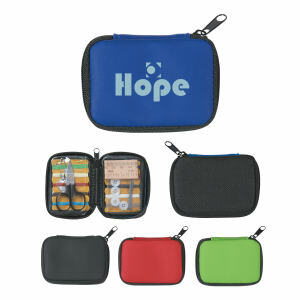 Each of these customized sewing kits has all the tools needed to repair their clothing when the need arises. One of the best parts about personalized logo sewing kits is that they are compact, so recipients can easily carry them around all day! 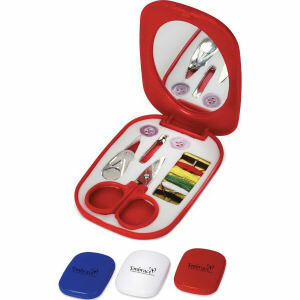 At IASpromotes.com, we stock many different styles of custom promotional sewing kits for customization. These small, useful promotional products are a great giveaway item when personalized with your imprinted corporate logo and name. 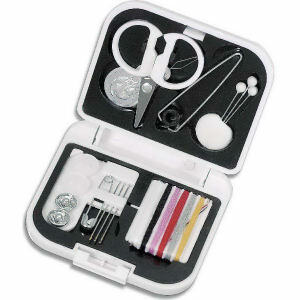 No matter where you are, you can always repair small tears and avoid a sloppy appearance with a promotional sewing kit on hand. Contact us today to start your order!